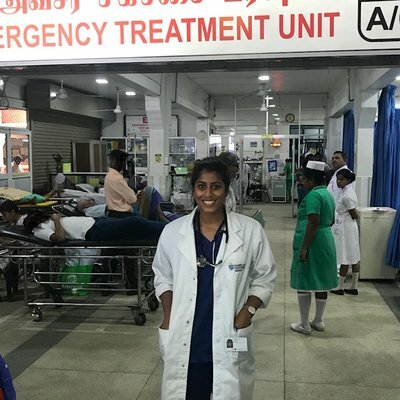 Manchester medic, Nina became one of the first students to do the Village Healthcare Experience in Nepal. Combined with her placement in Western Regional this provided a fantastic and unique overview of Nepalese healthcare. Why did I chose Nepal? Simple - mountains. Waking up to the stunning Annapurna range every morning was absolutely breathtaking. Pokhara is the second largest city in Nepal and lies in stark contrast to the colourful chaos which characterises Kathmandu. 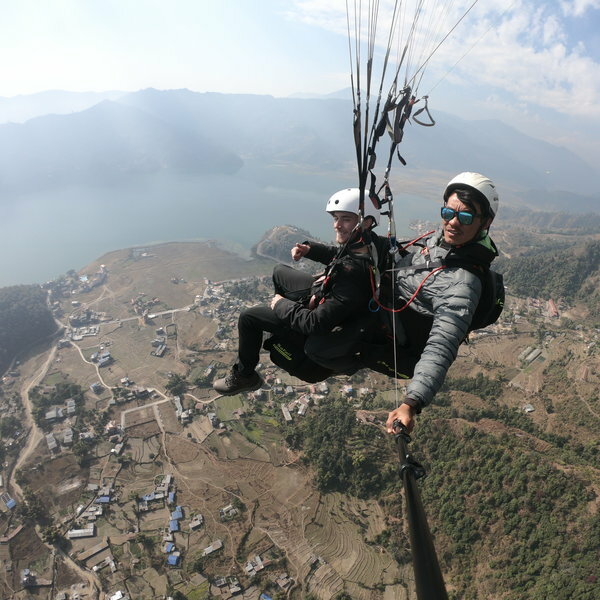 The WTW house was perfectly situated in Pokhara as a base for adventure and chilling out. Our house was kept clean and tidy by our delightful housekeeper, who even made our beds every day! The advantage of having a cook quickly became obvious as we were able to sample all the local home-cooked foods in a safe environment. If you are considering travelling to Pokhara, be warned, Krishna is a fantastic cook and your waistline will suffer! There are three main branches of medical care in Nepal; government hospitals, private hospitals and community health posts. I was fortunate enough to spend time in each of these services which provided me with a good overview of Nepal's health care. The majority of my time was spent in the maternity department of the government hospital. The placement was very flexible and we frequently had the opportunity to pop down to A&E for interesting cases. Every morning we attended the main ward round which covered all the patients in obstetrics and gynaecology. In contrast to the UK where maternity is primarily mid-wife led, the Nepalese doctors take the majority of decisions and are aided by "skilled birth attendants" who supervise the actual labour. Involving the doctors consequently invites an enormous ward round entourage, which completely strips the labouring women of all dignity and autonomy as all examinations are performed abruptly in full view. I can now appreciate the value of our system in the UK where doctors are only called when complications arise. This preserves the privacy of the woman in this deeply personal time. The hospital was very busy with hoards of people everywhere. I came to learn the importance of family in Nepal who accompany patients everywhere and are expected to provide the majority of nursing care. This ethos was demonstrated in their list of features associated with a complicated birth where an "unmarried woman" was listed as high as breech delivery. However, the most striking feature of the government hospital was the poor condition of their buildings and lack of protocol. Healthcare in the UK always seemed excessively protocol driven but I can now appreciate the value of these guidelines and standardisation in care. The staff working at the hospital were lovely and very accommodating to students. Although the main spoken language is Nepalese, all notes and medical discussions take place in English. Armed with a few key phrases in Nepalese such as "what a lovely baby" we had great fun chatting to the patients. The patients there were always so grateful and respectful which made healthcare very rewarding. Working in a hospital really teaches you a lot about the culture and daily life of the community. We made friends with several of the doctors who later invited us to their houses and showed us a different perspective of Pokhara. Working at this hospital certainly taught us a lot about life, changed our views on healthcare and was really good fun! My experience in the private sector was brief and mainly in the outpatient clinics. It is definitely worth asking your consultant if you can join their private clinics. The most striking difference is their approach to patients, rather than the actual medicine practiced. There are also frequently more teaching opportunities in the private setting. The "Village Healthcare Experience" was, without doubt, the highlight of my adventure in Nepal. My clinical partner and I were the first students to be offered this unique opportunity to live and work in a Nepali village. Our stay was facilitated by a local guide who escorted us from Pokhara on the local bus. This bus trip was an experience in itself! After a four hour trek from the nearest road we came to an idyllic farming community perched on the remote ridges of the Himalayan foothills. When we arrived in Nalma, the whole village enthusiastically welcomed us with garlands of flowers, traditional scarves and offerings of food. Our host family was delightful and we soon became well acquainted. The host mum and dad spoke limited English so we were frequently reduced to entertaining conversations in Pigeon English/Nepali. You could tell they were teachers as they gradually started correcting our grammar! The food was delicious and always arrived in enormous portions. The villagers frequently despaired at how little rice Westerners eat in comparison to themselves. Every meal was taken sitting on the floor in their little rustic kitchen and the family seemed very pleased when we rejected cutlery in favour of eating with our hands as they did. Somehow curry just doesn't taste the same anymore when eaten with cutlery. As we were the first Westerns to volunteer in Nalma, we instantly became the tourist attraction for the locals and we would frequently have an audience following us around. 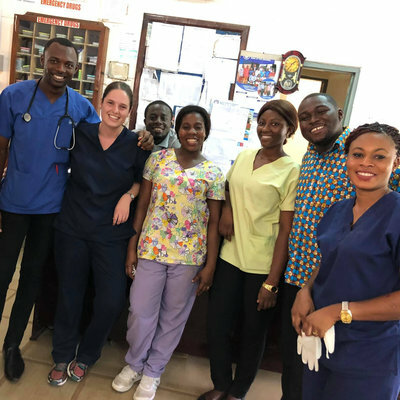 Our days were spent in the health post, normally manned by a health-assistant who had studied community medicine for 2 years and his wife who catered for women's health. The health care staff were delightful and incredibly accommodating to all our questions and requests. Our guide diligently translated all consultations and we played an active part in the diagnosis and management plans. We saw very similar pathology to the UK, the most prevalent being arthritic joints, GORD and hypertension. The advice we offered mostly revolved around basic hygiene and lifestyle changes to alleviate the symptoms. Armed with the BNF we were able to educate both the staff and patients on how to correctly take basic medicines including omeprazole, paracetamol and ibuprofen. Their liberal prescribing of antibiotics was terrifying! I can now appreciate how incredibly important it is for patients to understand their medication since the majority of the villagers took their tablets incorrectly, thus gaining little benefit and consequently discarding western medication. Our guide commented that if the advice came from us, then the locals would take it more seriously. I was inspired by the little old ladies with arthritic joints who soldiered on with no pain relief in order to continue working for their families. In the UK they would be immediate candidates for joint replacement operations. We witnessed several memorable patients and impressive pathological signs such severe pulmonary oedema and trauma-induced balantitis. It can only be described as working in a combined GP and A&E. The patient variation was fantastic and we learnt an incredible amount about how to manage patients in a rural environment with limited resources. The location played a big factor in the management since we had to consider the likelihood of the patient being able to access secondary care in the valleys. After seeing the value of my basic contribution to the community, this experience has certainly inspired me to pursue a career in general practice where basic health advice can make a big difference to quality of life. My advice for future students traveling to Nalma is to take a few handbooks of medicine for reference and a pen torch. Using the health care assistant's mobile-phone didn't quite have the same professional appeal... Also consider ear plugs as the host family's dog is adorable but barks very loudly in the morning! You can either wear scrubs or normal clothes under a white coat to the health post. Just remember, when you pack, that you need to carry everything up to the village. Finally - we had a fantastic time in Nepal. The cities are mediocre...it's the mountains, villages and the people which make Nepal such a wonderful place. Just learning a little Nepalese impresses the locals and earns you several drinks of tea, discounts in the shops and many friends! We spent our free time exploring the temples of Kathmandu, trekking, chilling out by the lake, paragliding and drinking lots of tea. A head torch will become your best friend in power cuts!